Banff National Park is heaven for the outdoor lover. It has everything from beautiful lakes to rugged mountains to wildlife roaming freely. But it is truly amazing that a place can feel so different depending on the season you visit. Banff in winter offers great skiing, boarding, and other snow sports. Banff in summer boasts the best canoeing, hiking, and fishing in Canada. Regardless of the season you plan to visit, you’ll find no shortage of outdoor activities in Banff National Park. 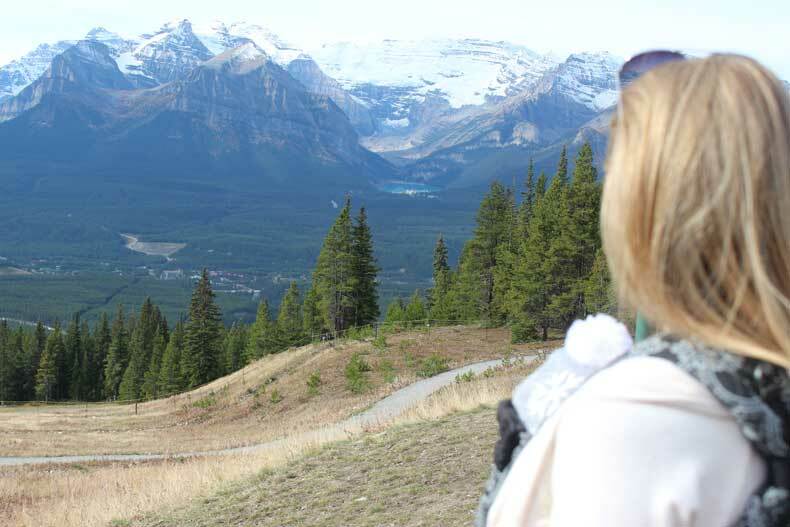 There are a ton of fun, family-friendly things to do in Banff to keep all ages entertained! Depending on the time of year you visit Banff, it could look one of two ways. Visit Banff in winter and you’ll find a brilliant blanket of white snow covering the ground. Plan your trip to Banff in summer and you’ll have sunny days and blue skies but the air will still be crisp, almost chilly. Winter sports are widely popular in the Canadian Rockies. Even during a bad year, the area typically receives more than 100 inches of snow during the season. For this reason, snowshoeing, skiing, snowboarding, dog sledding, and snowmobile tours are all great things to do in Banff National Park during the winter months. Winter in Banff can be extremely cold, so make sure you dress for the the cold weather. There are three main ski resorts located in Banff National Park. The largest and most popular ski resort is Lake Louise. This resort has the most developed base area of the three and the most ski runs (145 marked runs plus the back bowls). However, there are two other mountains in Banff that you shouldn’t discount. 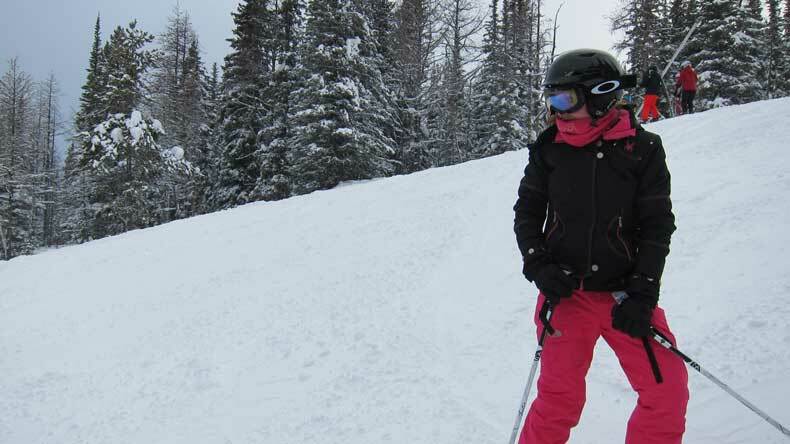 Sunshine Village and Mount Norquay also offer great skiing and snowboarding options. Winter in Banff is perfect for skiing and snowboarding. In my opinion, Sunshine Village has the prettiest views and is only a 15 minute drive from the town of Banff. This is extremely convenient if you choose to stay in Banff or Canmore instead of Lake Louise. Sunshine Village offers 115 runs, many of which are above the tree line. 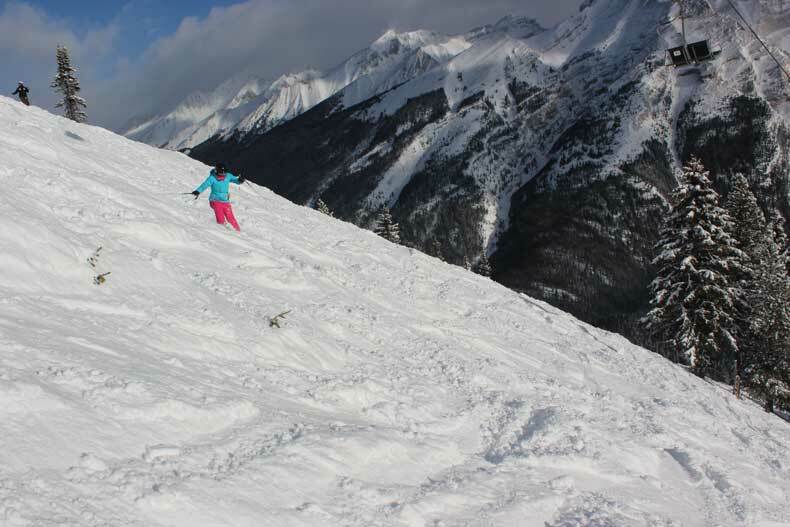 Mount Norquay is a much smaller mountain with only a handful of lifts and 60 runs, but it is a very family-friendly mountain that offers ski passes by the hour. This is perfect if you’re skiing with young children who can’t handle a full day on the slopes yet, or if you just want to get in a few runs before heading back to Calgary to catch an afternoon flight. Another big plus, it is only 5 minutes from Banff! Hitting the slopes? Click here to learn how a few key skiing phrases, or here to learn what to wear skiing or snowboarding. Banff is a true winter wonderland where families can bundle up and experience the outdoors together even when it’s cold. 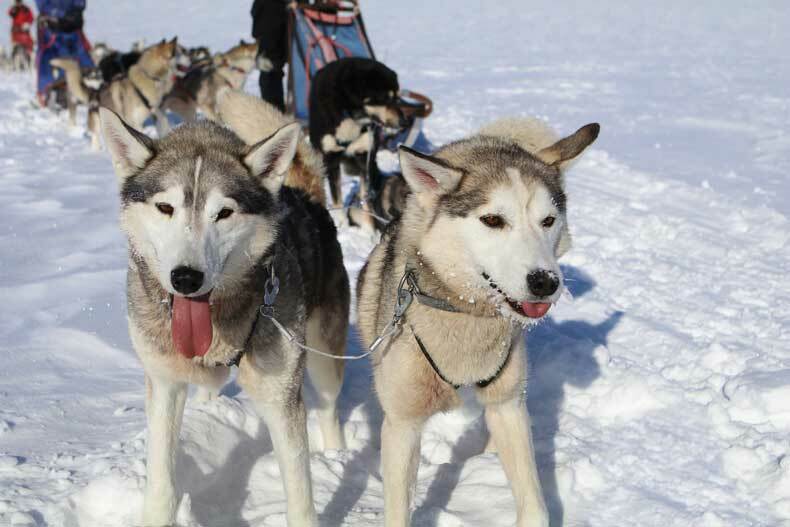 Kids and couples will love dog sledding in Alberta, ice skating at Lake Louise, snowmobiling, or soaking in hot springs in Banff. You can even find some incredible lodging options that offer heated indoor/outdoor pools with unbeatable views of the Canadian Rockies. 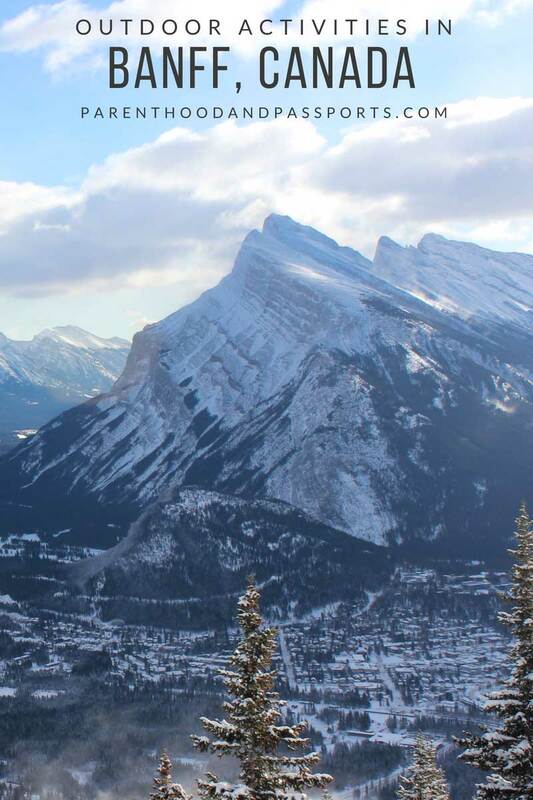 Check out this post for more great winter activities in Banff. There are so many incredible things to do in Alberta, Canada in summer. 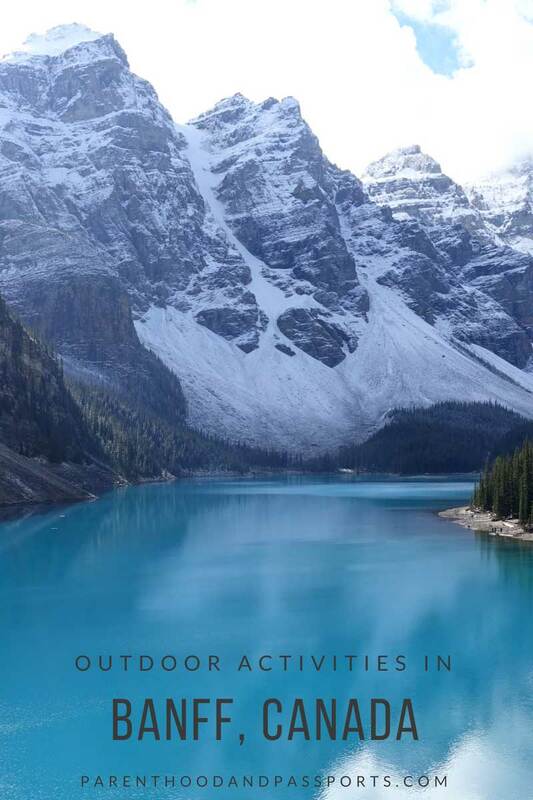 And Banff National Park definitely offers you a wide range of activities. Average temperatures during the summer months peak around 72 degrees Fahrenheit or around 22 degrees Celcius. This is perfect weather for long days spent outdoors! 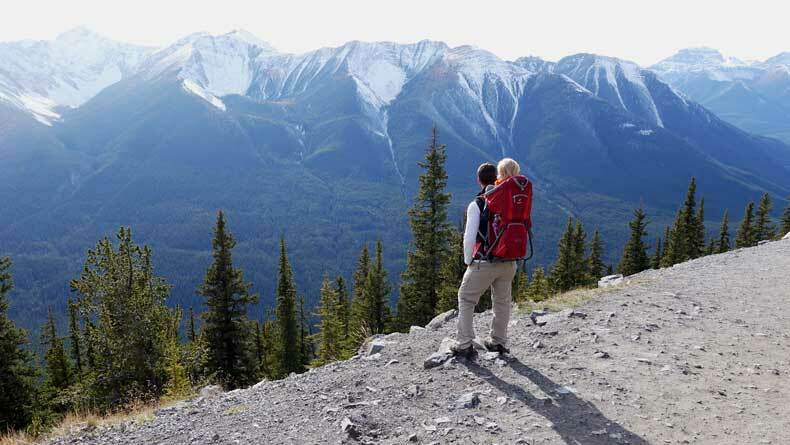 Hiking is one of the best outdoor activities in Banff during summer. 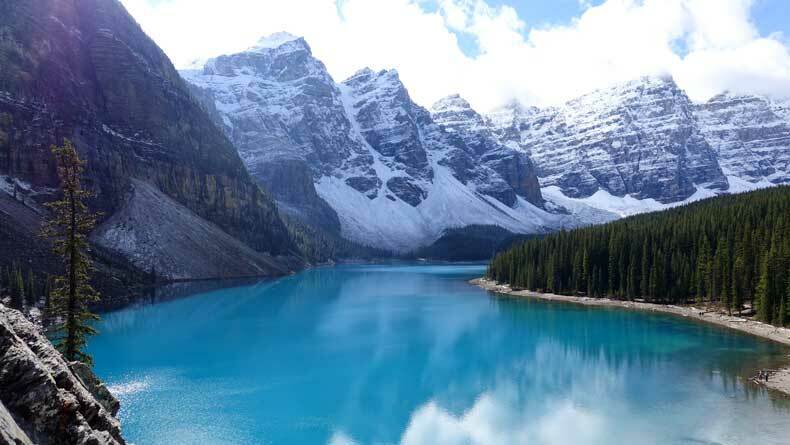 In the summer, Banff National Park is best known for its phenomenal hiking and lake activities. There are numerous hiking trails throughout the park varying in length and physical demand. Johnston Canyon is one of the more popular hikes in Banff National Park. It is a beautiful and easy hike, but can get very crowded. If you want to see Johnston Canyon, I recommend doing so early in the day before it becomes over-run with people. Keep in mind, it is also closed for about two weeks each fall for maintenance, so check the national park’s website before you go. 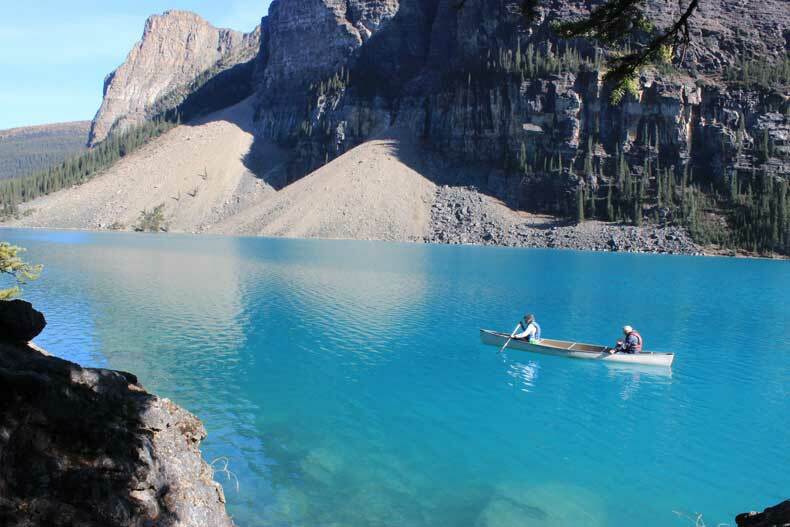 Two other easy, and very popular hikes are Moraine Lake and Lake Louise. For some leisurely hiking you can stay on the paths the run along the water. For more extreme or challenging hiking, there are several trail heads that start near the lakes and head into the mountains. These areas also tend to draw the crowds, mainly because of the lakes’ beautiful turquoise water. The lakes are easily two of the most beautiful places in Canada! 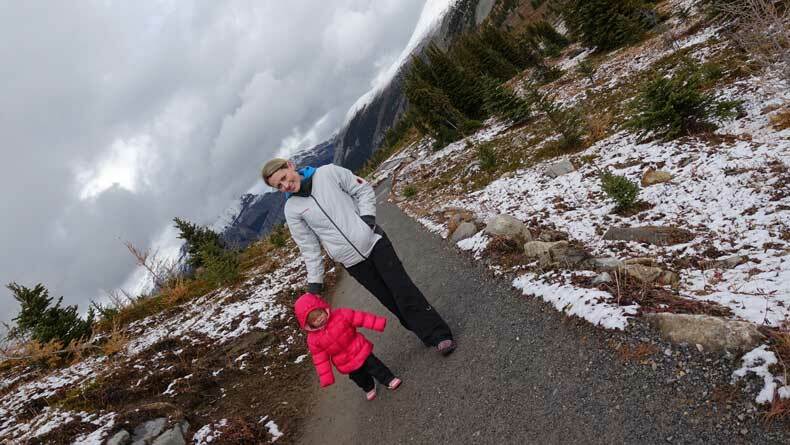 Sunshine Village is a great alternative hiking spot that is not nearly as crowded in the summer, and offers family-friendly trails. 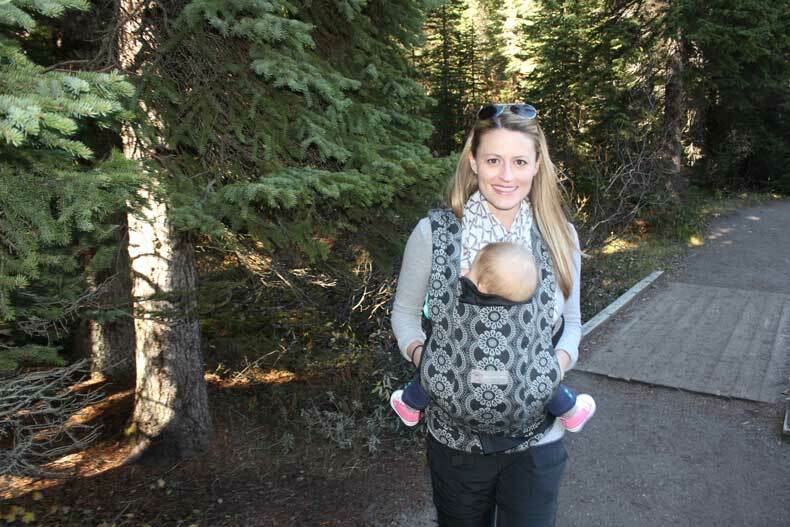 We’ve been able to hike in the Canadian Rockies with our daughter when she was an infant (in a carrier) and as a toddler (in a hiking backpack). However, if you plan to do so, make sure you stay on trails that typically do not have bear activity and take proper precautions to keep you and your little ones safe. Wildlife is very prevalent in the park. That includes grizzly bears. Many of the trails recommend only hiking in groups of four or more and carrying bear spray with you. Canoeing and kayaking are popular activity in Banff in summer and fall, and there are two lakes in particular where most people go to canoe. Moraine Lake is known for it’s almost unnaturally turquoise water set against a backdrop of jagged mountain peaks. It is a glacial lake and the water is so clean you could drink it (not that you’ll want to). Visitors can rent canoes on site and enjoy a relaxing ride across the calm, blue water. Children will enjoy learning to paddle the boat, and will benefit from disconnecting from technology and being surrounded by nature. Another widely popular lake in Banff National Park is Lake Louise. Also known for its brilliant turquoise water, this lake is a little easier to get to by car than Moraine Lake. If you want to experience the picturesque waters at either lake, it’s good to know the best time of year to visit Lake Louise or Moraine Lake. During certain times of year the lakes will be frozen, and at other times, the sun angle prevents the lake from looking as blue. Photography is also a popular pass time in Banff National Park. Whether it’s the rugged mountains, wildlife, or the beautiful lakes you are wanting to photograph, you will find stunning views just about everywhere. 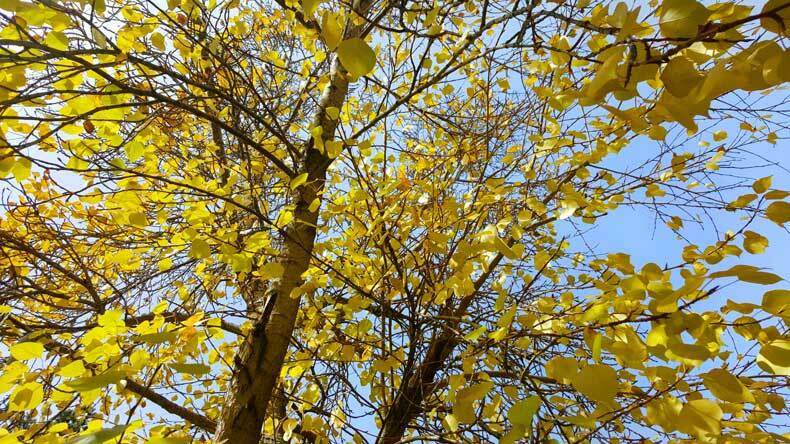 In autumn you’ll find remarkable fall colors as the leaves change from green to shades of yellow and orange. Moraine Lake and Lake Louise are perhaps some of the most photographed lakes in the world, and it’s easy to see why. Photography tip: the glacial waters looks most vibrant at the lakes when the sun is high in the sky. Your photo will look best when taken in direct sunlight (around noon) and from above. For more amazing lakes to visit in Canada, click here. Whether you are skiing in the winter or just want to take in the breathtaking views from high atop the mountains, a gondola ride is a great family-friendly activity. 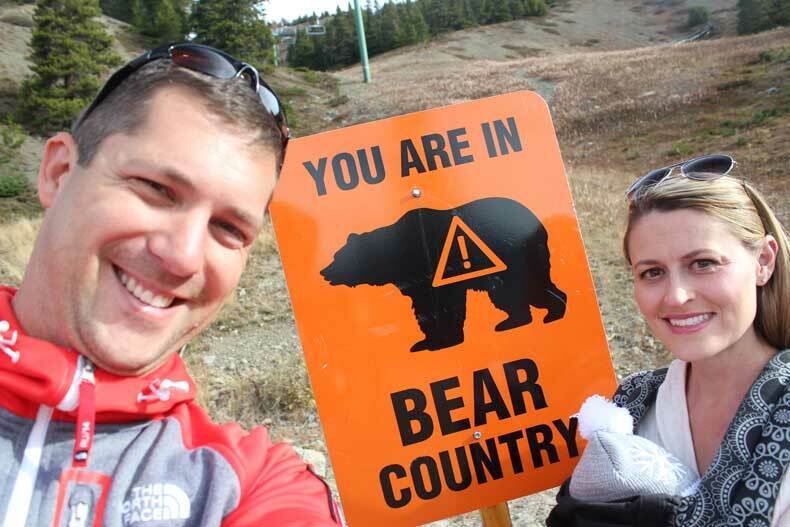 Taking the gondola up to the top of the mountain at the Lake Louise Mountain Resort is a great way to view wildlife. You also get a much different perspective of the topography. There is a nice, little restaurant at the top where you can grab a bite to eat or have a refreshing drink on the outdoor patio. But don’t worry about the wildlife, there is an electric fence to protect visitors from grizzly bears. However, you can hike at your own risk behind the fence. Banff is also known for its great natural hot springs. There are several hot springs in Alberta that you can visit, but one of the most conveniently located is the Banff Upper Hot Springs. It is located in the charming town of Banff, so if you are staying at one of the many hotels there, you are only a couple minutes away by foot or car. The hot springs are a kid-friendly activity, and are a perfect for relaxing sore muscles after a long day of hiking. The Banff Gondola is also worth a trip in summertime. 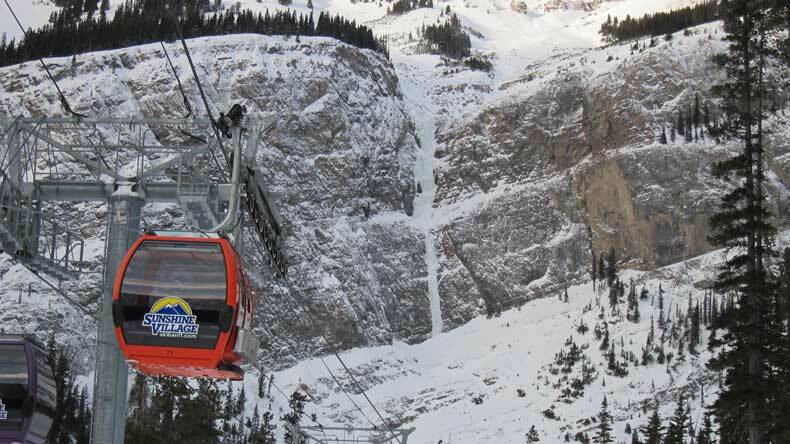 If you want great views from on top of a mountain, but don’t want to drive all the way to Lake Louise, the Banff Gondola is a perfect alternative. The short ride to the top offers some of the best views of the Canadian Rockies. You’ll also be able to see the famous Fairmount Banff Springs Hotel which resembles a beautiful castle perched on a mountainside. I found the area at the top of the Banff Gondola a bit more crowded than the Lake Louise Gondola, but the views really are spectacular. There are bathrooms, a coffee house, and a souvenir shop on top of the mountain, as well. 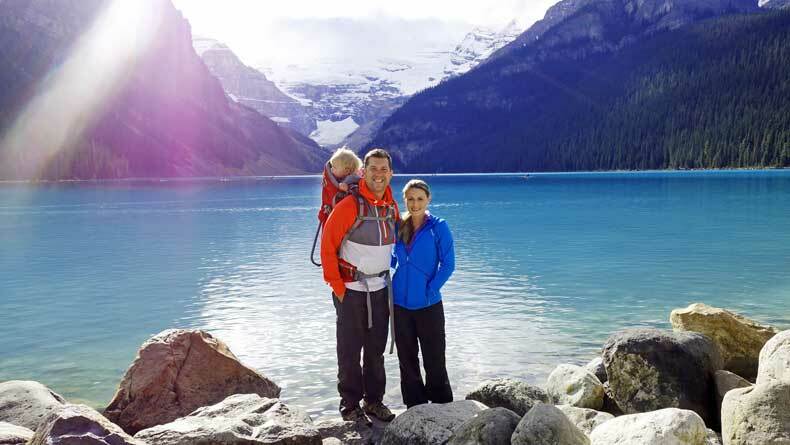 You can check out all of the great, family friendly things to do in Banff and the village of Lake Louise here. 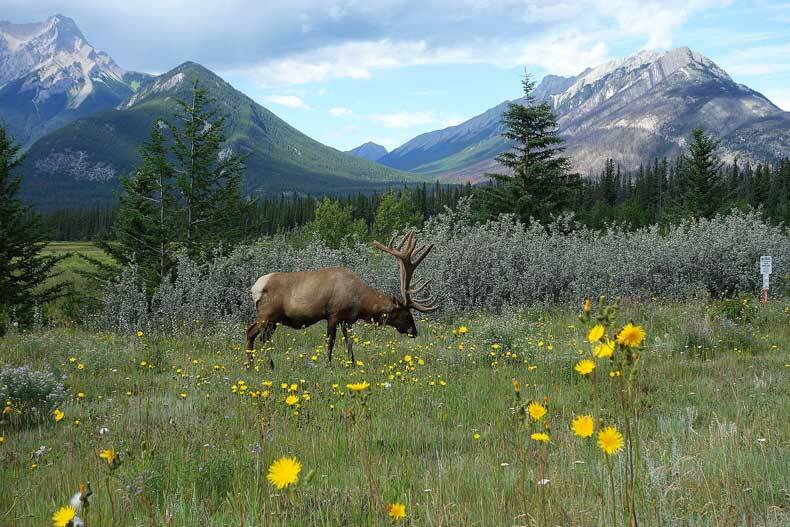 Have a question or comment about outdoor activities in Banff or things to do in the national park? We’d love to hear from you! Leave your thoughts in the comments below.